Despite these efforts, however, people were destitute and ultimately starving. Families would first run through any savings, if they were lucky enough to have any. Then, the few who had insurance would cash out their policies. Cash surrender payments of individual insurance policies tripled in the first three years of the Great Depression, with insurance companies issuing total payments in excess of 4,100 and sold for $49.50. One-fourth of the entire state of Mississippi was auctioned off in a single day at a foreclosure auction in April 1932. Not all farmers tried to keep their land. Many, especially those who had arrived only recently, in an attempt to capitalize on the earlier prosperity, simply walked away ([link]). In hard-hit Oklahoma, thousands of farmers packed up what they could and walked or drove away from the land they thought would be their future. They, along with other displaced farmers from throughout the Great Plains, became known as Okies. Okies were an emblem of the failure of the American breadbasket to deliver on its promise, and their story was made famous in John Steinbeck’s novel, The Grapes of Wrath. Once I built a tower, now it’s done, Brother, can you spare a dime? Finally, there was a great deal of pure escapism in the popular culture of the Depression. 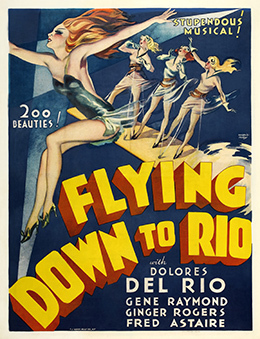 Even the songs found in films reminded many viewers of the bygone days of prosperity and happiness, from Al Dubin and Henry Warren’s hit “We’re in the Money” to the popular “Happy Days are Here Again.” The latter eventually became the theme song of Franklin Roosevelt’s 1932 presidential campaign. People wanted to forget their worries and enjoy the madcap antics of the Marx Brothers, the youthful charm of Shirley Temple, the dazzling dances of Fred Astaire and Ginger Rogers ([link]), or the comforting morals of the Andy Hardy series. The Hardy series—nine films in all, produced by MGM from 1936 to 1940—starred Judy Garland and Mickey Rooney, and all followed the adventures of a small-town judge and his son. No matter what the challenge, it was never so big that it could not be solved with a musical production put on by the neighborhood kids, bringing together friends and family members in a warm display of community values. Which of the following hardships did African Americans not typically face during the Great Depression? 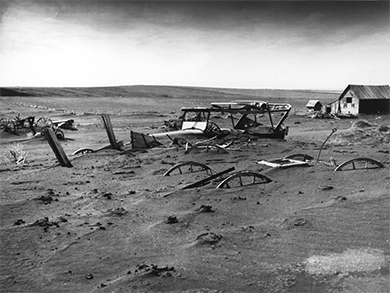 Which of the following was not a key factor in the conditions that led to the Dust Bowl? The Depths of the Great Depression by OpenStaxCollege is licensed under a Creative Commons Attribution 4.0 International License, except where otherwise noted.